Men t-shirts are an integral part of the wardrobe. They look good for casual occasions. A t-shirt is also an important clothing for working out. Jumia Egypt brings you high quality men t-shirts from trusted brands like Fifa, Activ, Doe, Agu and Akai. Choose from different colors including black t-shirts, white t-shirt, patterned and printed t-shirts. At Jumia Egypt, we have men’s t-shirts in different styles. Check out the round neck t-shirts that comes in plain solid colors, and you can buy a set of 3 round t-shirts that come in blue green and red. We also have v-neck t-shirts that come as either long sleeve shirts or short sleeves. Jumia Egypt’s men t-shirt collection comes in funky prints, cheeky quotes and colorful assortments, so whatever you are looking for, we guarantee that you will get it here. At Jumia Egypt, t-shirt prices are very reasonable. Browse through our site and select the kind of t-shirt the suits your style. Choose from plain colors to printed or patterned. 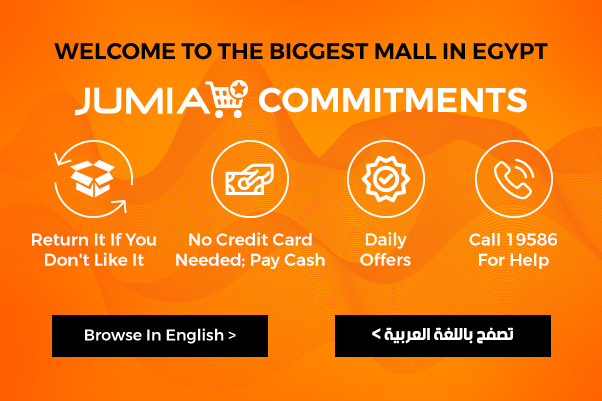 Shop online with Jumia Egypt and have your t-shirts delivered to you within the shortest time.